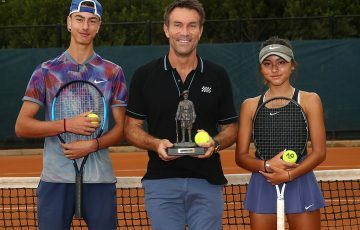 They grew up playing junior tennis together but now Pat Rafter and Josh Eagle are intent on moulding Australia's Davis Cup team into a formidable combination. 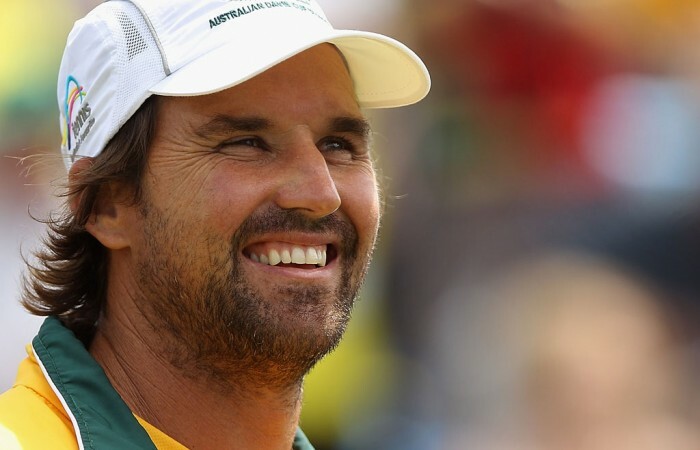 They grew up playing junior tennis together but now Pat Rafter and Josh Eagle are intent on moulding Australia’s Davis Cup team into a formidable combination. 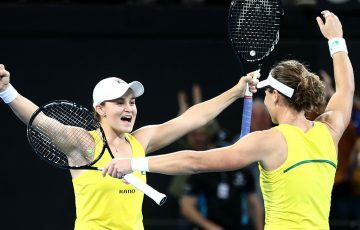 Now more than two years into the role of Australian Davis Cup captain, Rafter and new team coach Eagle are not making any excuses for their hard-line stance on player behaviour both on and off the court. At the top of the list is uncompromised effort every time you step on court – be it practice or a live rubber – and pride in representing your country. And the former No.1 will not back down on these requirements, as Marinko Matosevic and Bernard Tomic have found out. 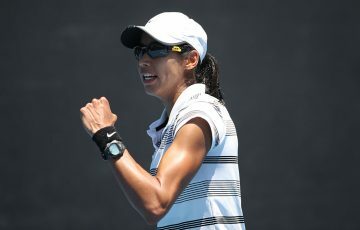 “Marinko has learnt a lot,” Rafter said from Chinese Taipei after Australia took a commanding 2-0 lead on day one of the first-round Davis Cup tie. “He was one person who had been kicked out for his attitude before at Davis Cup, and Bernard Tomic has been kicked out for his attitude at Davis Cup and I think it’s very important that you play and represent your country in the right spirit. Tomic was not considered for selection for this tie but, should his form warrant it and Australia defeats Chinese Taipei, he will be in the selection mix for the next tie in April. Rafter’s message that wins alone are not enough to get you into the team is beginning to sink in. Matosevic, Australia’s No.1 player for a period in 2012, was forced to learn this policy the hard way when he was not selected for the crucial World Group Play-off tie last year. 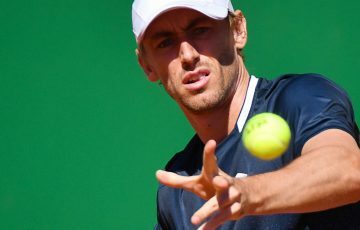 “That really hurt him last year, he thought just by winning matches and getting his ranking to 60 around the US Open, he thought he was a walk‑up starter for the Davis Cup tie in Hamburg,” Eagle told reporters earlier this year at the Australian Open. “Pat made it very clear to him due to his poor behaviour when he was representing Australia that he wouldn’t be selected. I think that sends a great message to these guys. 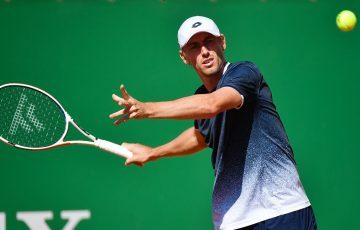 The disappointment lit a fire in Matosevic who finished the year inside the top 50 for the first time in his career and was welcomed back into the team for this weekend’s tie. Sadly for Matosevic, it hasn’t been enough to get him on the court, yet. Teammate Matt Ebden was selected ahead of him for the opening day’s play but there is still hope for Matosevic. 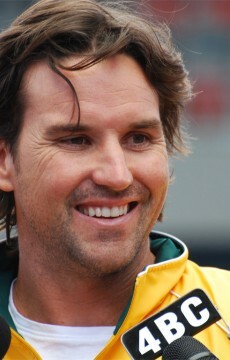 “To me Matt was playing some very good tennis [and] Marinko is still looking for some form,” said Rafter. “I think he’s very very close but the first match I think it was important to put Matt Ebden in and I think he has performed very well for us. I think Marinko would have done a great job as well but I stand by the decision that we made, it’s the right decision because we’re up two nil. It’s a good sign for Matosevic and the Australian Davis Cup team with players jostling for positions on the team, which is exactly what Rafter and Eagle want to see. 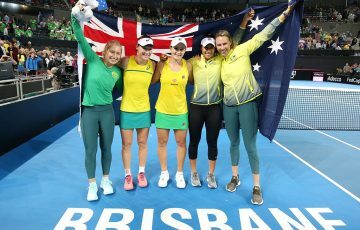 “Ultimately what we want is people to be proud to represent Australia and be honoured to represent Australia and really want to do it. I think they’re the key messages we’re trying to instill, not just in these guys, but also the younger guys coming up,” said Eagle. 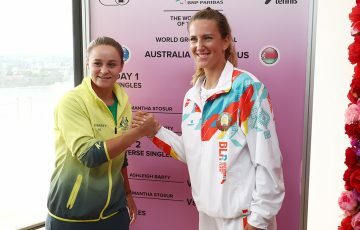 Review the day one’s events and follow the day two doubles action live with tennis.com.au’s DAVIS CUP LIVE BLOG. Coverage begins on Saturday at 5 pm (AEST).